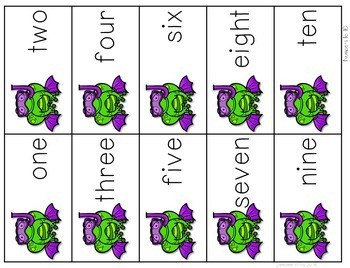 Addition and subtraction math fluency and numbers to 10. 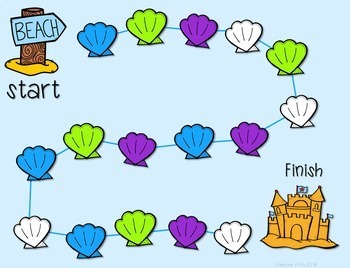 This is a fun game to use in the summer months! 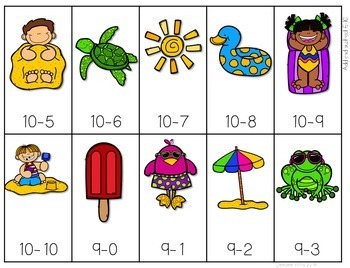 ★Students can read numerals, count up to nine, ten frames, and read number words. To keep the game exciting, the students will spin a spinner to determine if they move forward or backward. 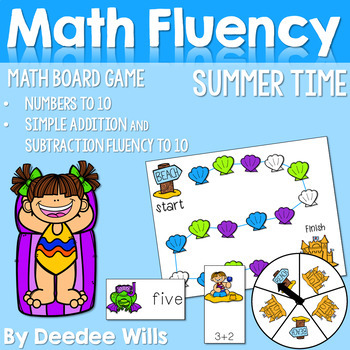 Your students will love practicing their math fluency with this fun game! I have included an "I Can..." for more student independence.